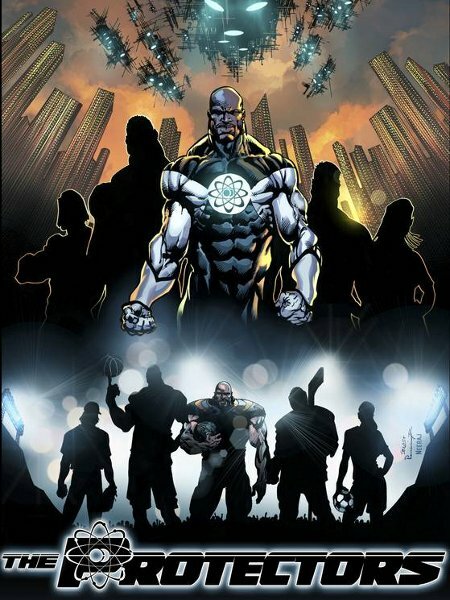 One of my graphic novels is going to be a movie! Except it’s not really my graphic novel. It’s Deepak Chopra’s. And as with any movie deal, it’s only real when the cameras start rolling. So I guess there’s not much cause for excitement, at least on my part. But still … kinda cool. In the waning days of the late, lamented Virgin Comics, I was asked to adapt a Deepak Chopra screenplay called “Beyond” into a four-issue series. Deepak’s son, Gotham Chopra, was the one who originally recruited me to do some work for Virgin, so I was flattered that he wanted to entrust his father’s screenplay to me. I was paired with artist Edison George, one of Virgin’s studio artists based in Bangalore. I had to do a little judicious trimming here and there, but I think I preserved the important aspects of “Beyond” in the screenplay-to-comics translation. I recruited my buddy Luke Ross for the cover to issue #1, an image that needed to somehow convey the cross-dimensional, metaphysical aspect of the story. On the interiors, Edison turned out some beautiful work on what were consistently dense pages in terms of panel count. And Gotham told me his dad was pleased with the comic, which to me was the most important aspect. Today’s Hollywood Reporter carried the news that “Beyond” had been picked up for film production, with director Suri Krishnamma attached. The full story is here. “Beyond” was described as “a supernatural thriller about an American businessman, Michael Morton, who arrives in India with his wife Anna and son Ty on a vacation. Wandering through a teeming bazaar, Ty watches as his mother wanders into a small store but never comes out, leading to a frenzied search for her whereabouts.” That’s it in a nutshell, though the story is much richer, much more complex, than that brief summation. I enjoyed working on it, even though adapting someone else’s original work is a wholly different challenge than creating your own. 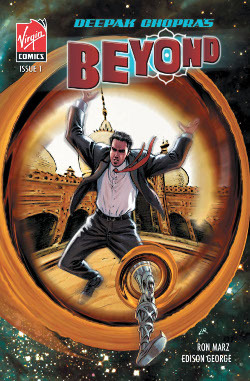 The first three issues of Beyond made it out before Virgin’s publishing ceased. The fourth issue was written and drawn, but never hit the stands. 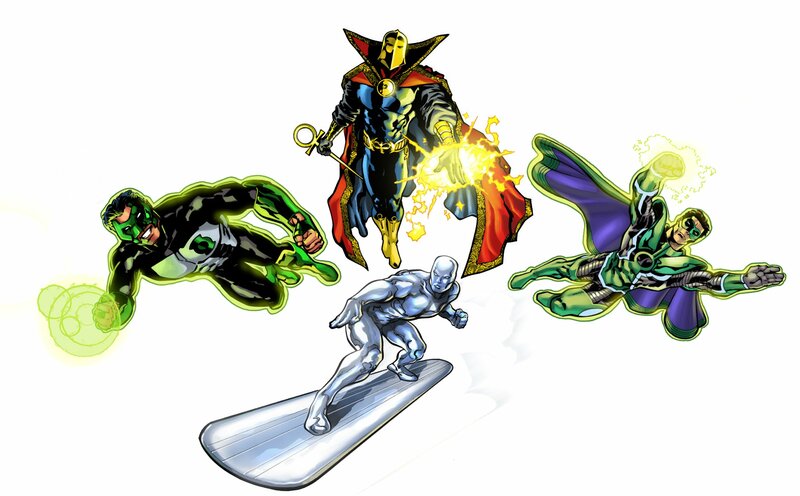 When Virgin folded, the company’s properties were purchased by the founders, now under the banner of Liquid Comics. Issue #4 is now complete, including colors and letters, and awaits release both digitally, and as a collected print edition along with the first three issues. Hopefully that’ll happen sooner rather than later; it’d be nice to have the completed story out there. Issue #4 also contains Edison George’s best work, I think, including some truly spectacular, large-scale battle scenes. Turns out I’m working with Edison on another project, but that’s fodder for a future post. If you’d like to sample Beyond, the first two issues are up for free online at Issuu.com.